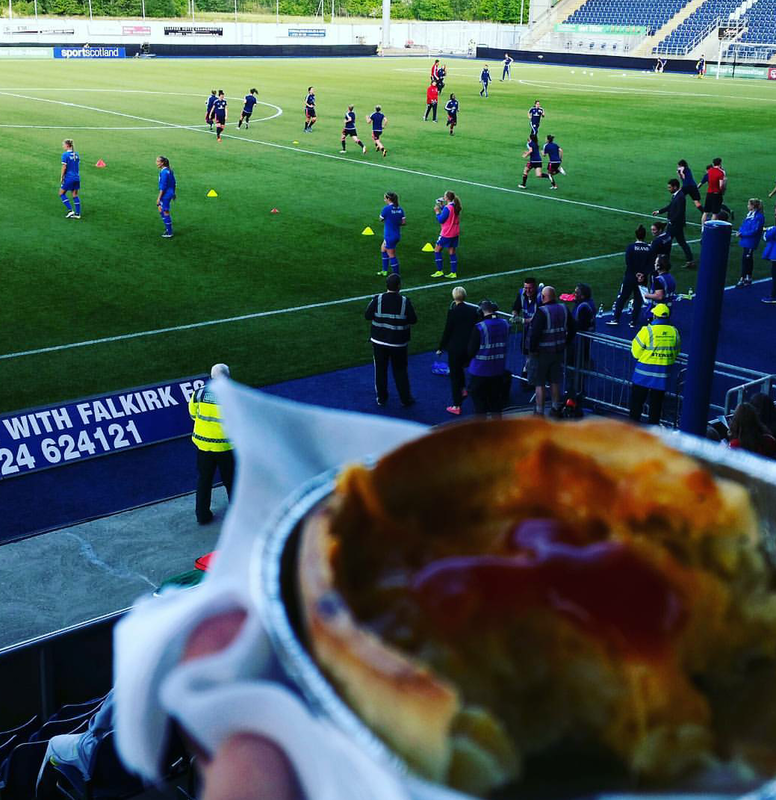 Hello pie fans, it’s been a while since a review has dropped from the desk at Meat Filled Pastries Mansion so I think it’s only fair I share an update in relation to what’s been going on and reassure you that the end has never been further away for your favourite Scottish football pie website. Firstly, the fixture gods have not been my friend. Whilst I try and watch as much football as I can I still have a team I follow every Saturday. Pollok’s recent stability in the league combined with some over familiar cup pairings means that I haven’t been furnished with many opportunities to review new pastries. Secondly, I have revived Leading the Line and have been focusing more on features in particular relating to Scottish and Spanish football including statistical analysis, opinion and retrospective pieces. The statistics in particular is an attempt to marry my day job to my passions and I’m quite pleased with how some of these pieces have progressed. Thirdly, and for me this is the most exciting, I have joined the SWPL Media Team. I have been a long time advocate of women’s football in Scotland and after finally getting annoyed enough to start promoting it myself I was approached by the league to join the team. As well as covering match days for the SWPL website I have also provided statistical match previews and I am brimming with ideas about how to help the game grow at a time when the interest levels have never been higher fuelled by the national team’s upcoming appearance at the Women’s World Cup which, of course, I’m heading to. So yeah, lots going on, and I’m willing to admit that the pies may have probably taken a back seat whilst I’ve been getting other things on the go but it’s good to be back with this curry offering from the stands of The Simple Digital Arena. So without much further ado, let’s rate some pie! Price: At £2.70 this is at the top end of the football pricing spectrum in Scotland. Whilst in the junior ranks this kind of price point would be baulked at in a Scottish Premiership context there are some far worse out there as well as some better priced offerings too. Presentation: In a large, round and shiny tinfoil case that was a lot shallower than you initially thought it was going to be. The encased pastry sitting securely on a single large white napkin. Meatiness: This pie was criminally under filled with so much space between filling end and pastry top that you could almost squeeze another pie in there! Putting aside the fact I burnt my tongue (my mouth filled with a plume of roasting hot steam on first bite) this pie was…alright. Initially your mouth welcomed what was a fairly generic curry taste but as you ate notes of sweetness and heat did pop their heads in from time to time. There was nowhere near enough chicken in it but as it wasn’t billed as a Chicken Curry Pie I suppose I have to let them off that one on a technicality. Pastry: The pastry was a bit peely-wally and as the picture shows the lid flapped off the base as you ate which meant some juggling was required. It was however just crisp enough, very neat on presentation before that first bite and there was no sticking to the tin foil. Serviceable. Overall: I’ve yet to have a curry pie that has blown me away in a football setting, this was perfectly edible but the lack of filling really holds it back. Gravy Factor: A half cup of gravy. Ah, that felt good, a new pie review done. The nights are getting lighter so I’m hoping to get out and about a bit more for some midweek action over the coming months. I also am currently acting on an idea I’ve been sitting on in relation to pies so keep your eyes peeled for that when it finally drops. This entry was posted in Football Pies, Luxury Pies, Professional Pies, Sporting Pies, The Life of Pie and tagged chicken, curry, curry pie, Meat, meat filled pastries, pastry, Pie, portugal, scotland, st mirren, tartan army, the simple digital arena, under 17s, youth football. 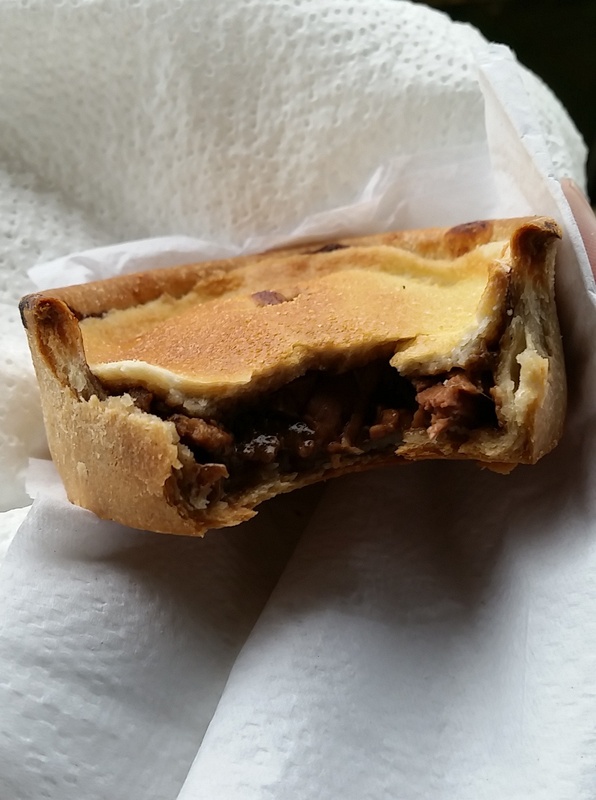 Hello and welcome to some what of a homecoming for Meat Filled Pastries because as many of you may have realised by now a great deal of my reviews are as a result of my travels around junior football supporting my local team, Pollok and today’s review comes from their home, Newlandsfield Park. For as long as I’ve been going to Newlandsfield there has been only one pie on the menu, the humble scotch pie. Sure there has been sausage rolls and bridies, I’ve even been known to be partake in the odd hot dog or two but in the main it’s always a scotch pie that is left there sitting in my hand come game day. At the end of last years successful season, and after a few of Caledonia’s Best, I was asked my opinion on bringing a steak pie into the culinary fold. I immediately gave it my thumbs up before getting into a debate about what price it should be that drinking jaegermeister out of a trophy made me forget it’s outcome the very next day. Jaegermeister: Makes you Tell Everyone Everything and Remember Nothing! At the start of the season I was then somewhat disappointed to discover that no steak pies were to be found. I didn’t think much of it putting the conversation that was hazy in my memory down to one of those lost in the bottom of a pint glass. Imagine then how my heart soared when a few weeks ago a 24 steak pie trial took place. As the clubs resident pie expert I had to get involved. One from the archives, forget to take a picture as I was in more familiar surroundings. Price: Piloted at a price of £1.60 this is about average for a luxury steak pie found at junior grounds in the west region. A pilot price that has since increased to £1.70 on full roll out, just in case next time you’re at Newlandsfield you feel short changed by the price of your pastry. Presentation: Unusually for a steak pie there was no tin foil surround. At first it was presented on a medium-sized white napkin but as I began to walk away I was shouted back and advised ‘That might not be enough’, before being given an extra couple of sheets of kitchen roll. You don’t get that kind of consideration at Parkhead or Ibrox. Like the baby Jesus wrapped up in his manger. Except this is a pie, and that’s kitchen roll. Meatiness: This pie was filled to the brim with some lovely and unctuous gravy. It was well seasoned although slightly salty but not offensively so and the consistency was near spot on, firm enough to hold should your conversation start getting a bit ‘handsy’. The meat was split across the pie into about a half dozen substantial chunks. Cooked well enough for you to bite through it tenderly without having to tug too hard, with your teeth tearing off the meat into the kind of thin strips of beef that only long and slow cooking can provide. Pastry: The first thing I noticed that this wasn’t a puff pastry case that is most commonly attributed to a steak pie but instead something more akin to a scotch offering. Secondly this pie was the definition of golden brown in colour. It was immaculate in that sense without even a hint of boil out. It was also perfectly round, on first appearances it was very impressive. There were a couple of issues though. To accommodate the wetter filling of a steak pie the pastry was a little thicker than you would normally find on a scotch pie which, whilst not an issue on the sides and bottom, did result in the top ‘flapping’ a bit as you took a bite almost like a cracker on a pile of mince, not to the detriment of taste but just a little bit fidgety. Brown Sauce: None. It’s a luxury pie. Overall: A tasty steak filling with a slightly biscuity pastry top but perhaps one of the most attractive pies I ever did see. Gravy Factor: Biscuits and Gravy. Tasty gravy. I hope they let me in next week after that review. I’ll always be honest, even when it comes to my home town team and this is definitely a worthwhile addition to the matchday menu. The next review is yet to be determined as winter throws up all manner of possibilities in the footballing calender thanks to the never ending raft of call-offs and re-arrangements. 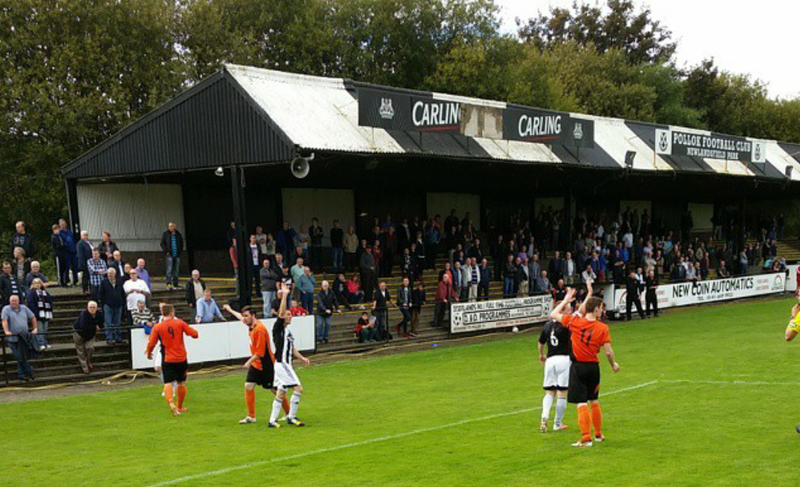 This entry was posted in Football Pies, Junior Pies, Luxury Pies, Sporting Pies, The Life of Pie and tagged beith, Football, Gravy, Juniors, Meat, meat filled pastries, pastry, pies, pollok, scotland, steak.